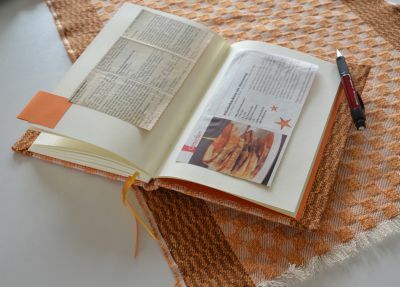 These books have been specially designed for those who love good food and drink, who are interested in cooking and collecting recipes. 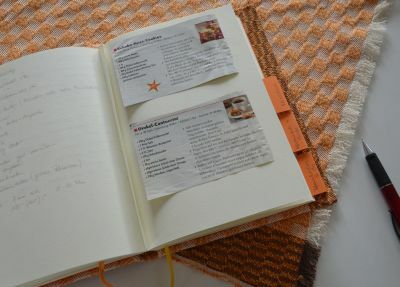 ... and glued onto the edge of a page wherever you want to mark the start of a special recipe theme or chapter. Pencil or fountain pen - choose whatever you prefer to write with. 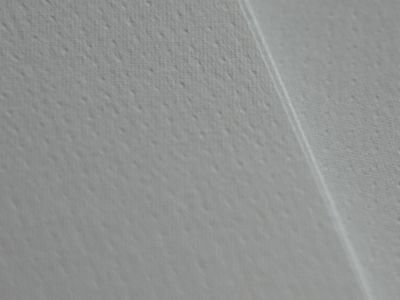 A pure white paper with a structure of fine dots. This is a very straightforeward paper of an elegant yet modern character. This paper is produced at a German paper mill. It is off-white to yellowish and laid. 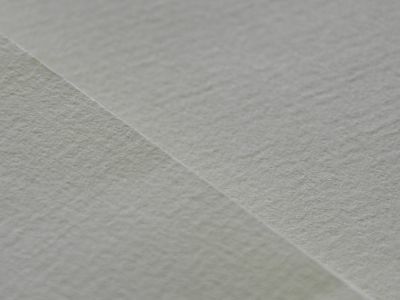 Its surface and structure is that of an old style paper. 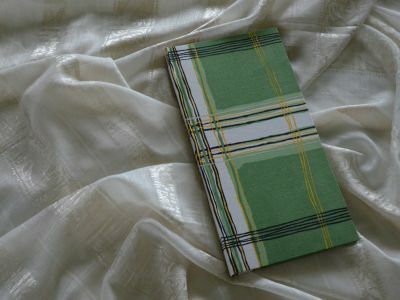 Some of the books have a cover made from classic towel linen. 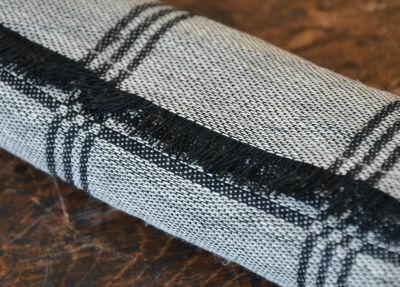 These linen are woven only just about half a meter in width and what shows dark on the front of the fabric will show light on the backside and vice versa. 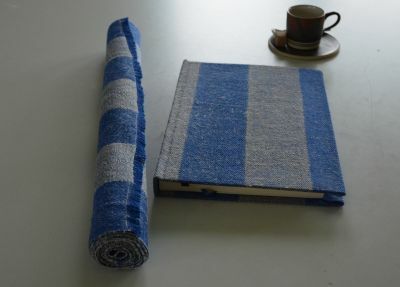 Some books of the towel linen series come together with a tablecloth. 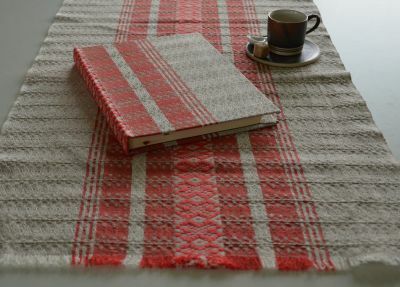 The "Red Ivy" tablecloth is hemmed on all edges. 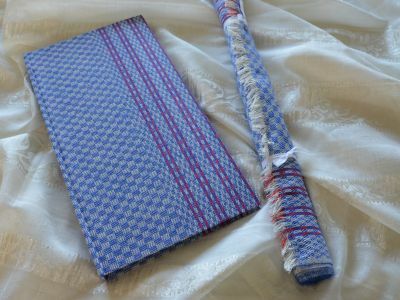 All others are left on their long sides like they come off the loom and the short edges are just fixed thus they can be used either side up. 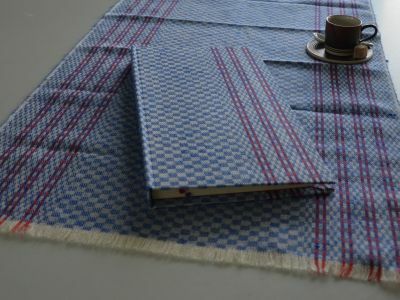 Gourmand's-Book Towel linen "Checked red-brown on offwhite"
Gourmand's-Book Towel linen "Checked rim light-blue"
Gourmand's-Book Towel linen "Op-Art multi-colour"
Gourmand's-Book Towel linen "Op-Art Pink"
Gourmand's-Book Towel linen Beach Basket Stripes multi-colour"
Gourmand's Book "Green Checked Linen"
Size approx. 20x37cm, pages approx. 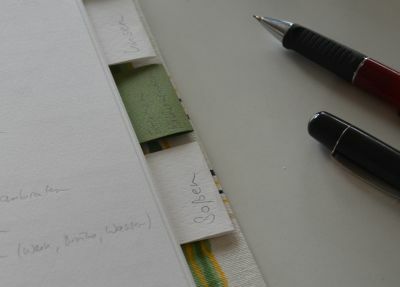 17x33cm, 144 pages of WhiteDot plus 24 spacing strips, 12 parting strips, ribbon page marker yellow and black. Endpaper black. 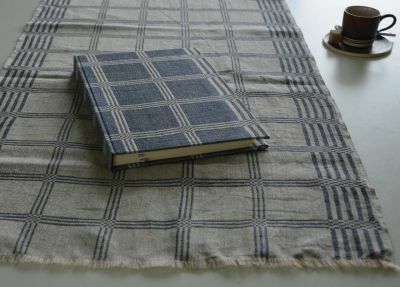 Gourmand's-Book Towel linen "Workplace linen"
Size approx. 20x37cm, pages approx. 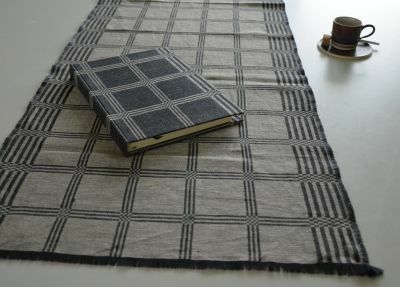 18x33cm, towel linen. 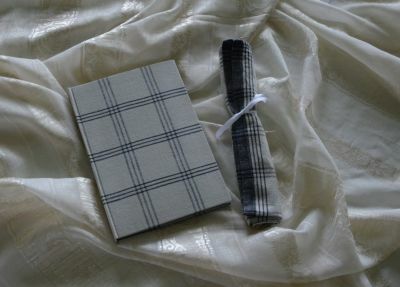 144 pages WhiteDot plus 24 spacing strips, 12 parting strips, ribbon page markers grey and white, endpaper smoke-grey. Comes with table cloth. Size approx. 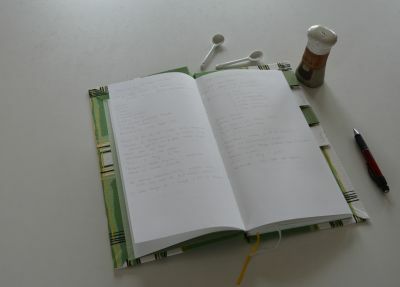 17x37cm, pages approx. 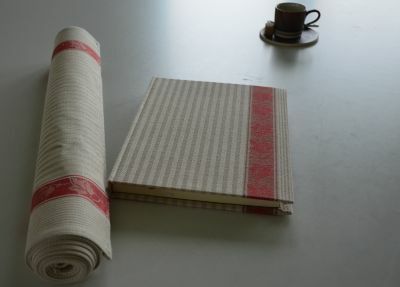 17x33cm, 144 pages of Classic plus 24 spacing strips, 12 parting strips, ribbon page marker red and grey. Endpaper brightred. Comes with two large kitchen towels. Size approx. 20x37cm, pages approx. 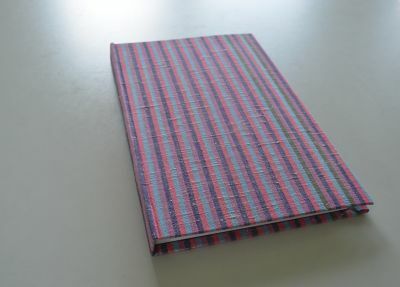 17x33cm, 144 pages of Classic plus 24 spacing strips, 12 parting strips, ribbon page marker red and blue. Endpaper brightred. 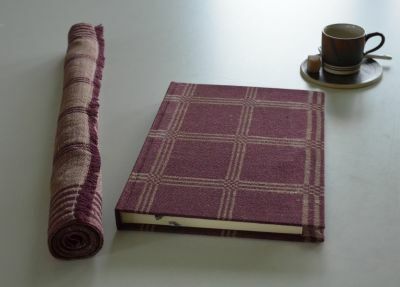 Gourmand's Book "Towel-Linen Ivy red"
Size approx. 18x26cm, pages approx. 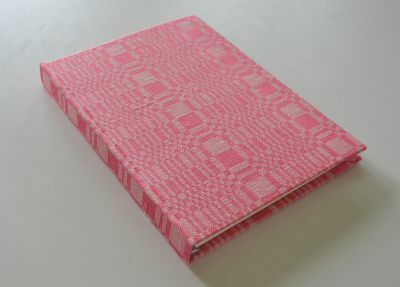 16x24cm, 144 pages of Classic plus 18 spacing strips, 10 parting strips, ribbon page marker red and white. 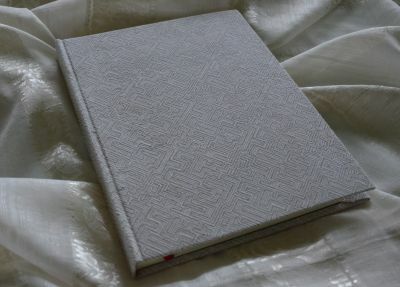 Endpaper grey. Size approx. 18x26cm, pages approx. 16x24cm, 144 pages of Classic plus 18 spacing strips, 10 parting strips, ribbon page marker silver and grey. 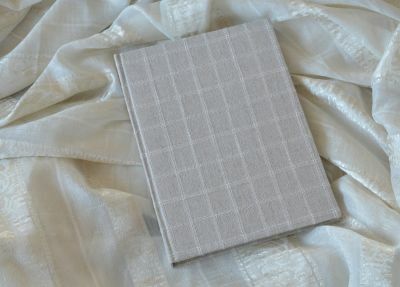 Endpaper silver. Comes with tablecloth. Size approx. 18x26cm, pages approx. 16x24cm, 144 pages of Classic plus 18 spacing strips, 10 parting strips, ribbon page marker silver and grey. 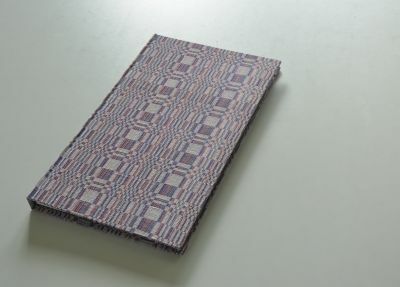 Endpaper lilac. 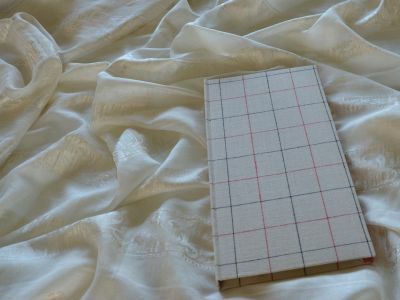 Gourmand's Book "Towel-Linen Red Pattern"
Size approx. 18x26cm, pages approx. 16x24cm, 144 pages of Classic plus 18 spacing strips, 10 parting strips, ribbon page marker red and grey. Endpaper black. 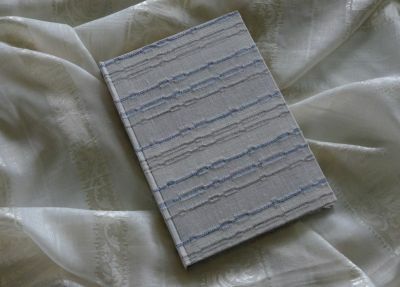 Gourmand's Book "Towel-Linen Blue Stripes"
Size approx. 18x26cm, pages approx. 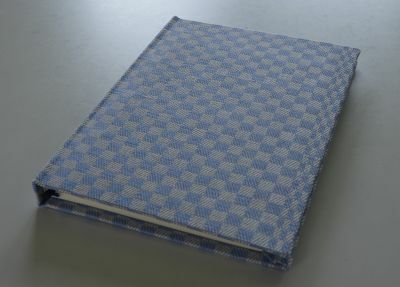 16x24cm, 144 pages of Classic plus 18 spacing strips, 10 parting strips, ribbon page marker blue and blueblack. 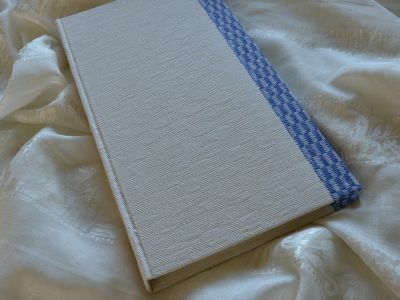 Endpaper blue. Comes with tablecloth. Size approx. 18x26cm, pages approx. 16x24cm, 144 pages of Classic plus 18 spacing strips, 10 parting strips, ribbon page marker black and red. 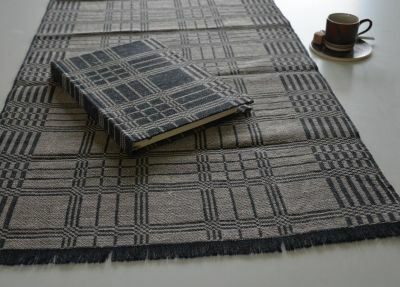 Endpaper darkgrey. Comes with towel. Size approx. 18x26cm, pages approx. 16x24cm, 144 pages of Classic plus 18 spacing strips, 10 parting strips, ribbon page marker grey and silver. Endpaper brown. Size approx. 18x26cm, pages approx. 16x24cm, 144 pages of Classic plus 18 spacing strips, 10 parting strips, ribbon page marker white and red. 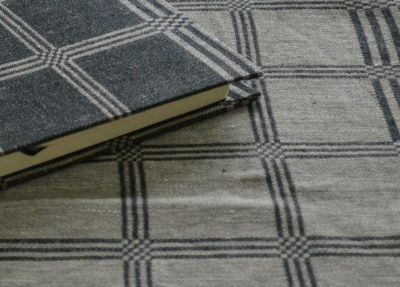 Endpaper darkgrey. Size approx. 18x26cm, pages approx. 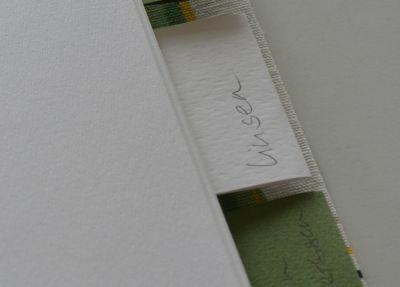 16x24cm, 144 pages of Classic plus 18 spacing strips, 10 parting strips, ribbon page marker brown and silver. 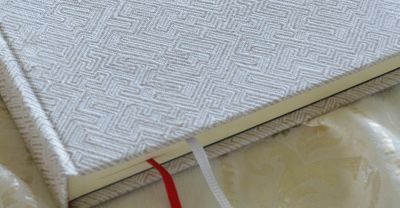 Endpaper sandgrey. 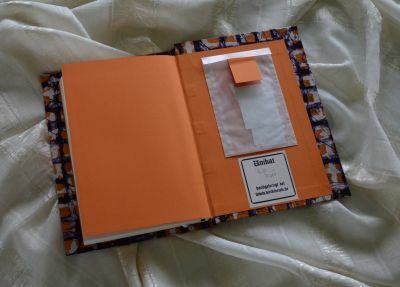 Every Gourmand's Book is individually made. 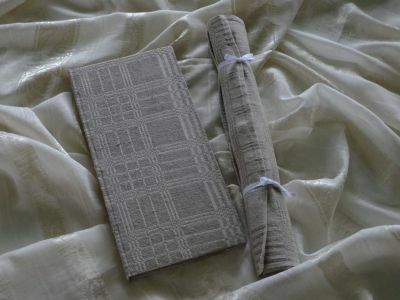 All towel linen are woven narrowly, i. e. their width will not exceed 50 cm. 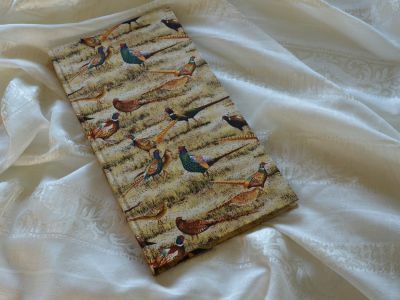 Book sizes will be adjusted to the width or pattern of the fabric and books will thus differ in sizes and price. 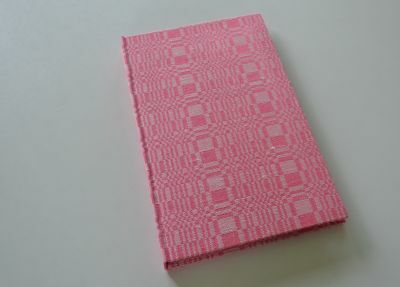 Gourmand's books range from Euro 60.- (costs for international shipping vary according to destination).